PreSonus is supporting schools and students in many ways, and now is the perfect time to check out our music education solutions at musiced.presonus.com. Any student who plays an instrument, from beginner to college, can benefit from listening to recordings of their own performances. In fact, any professional musician will tell you that this is the best way to improve! We’ve put together a tutorial series called “Step up Your Practice” to demonstrate the benefits of recorded practice using our AudioBox Studio or Music Creation Suite. 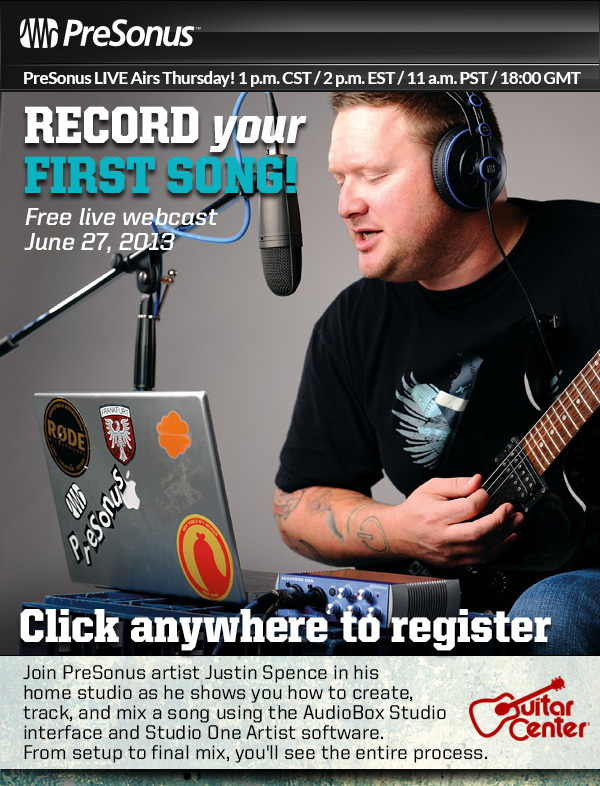 Check it out at musiced.presonus.com/stepup. We’d also like you to consider Studio One and Notion for any of your recording or composition courses. Both offer highly intuitive ease-of-use that doesn’t get in the way of the most important thing—learning. Furthermore, we offer educational discounts and/or multi-seat licensing, and plenty of tutorials. For full music labs, the Music Creation Suite provides everything you need for recording, including software, recording interface, microphone, MIDI controller keyboard, and cables—and to top it off, we offer a complete school curriculum to help you get started. Coming off the world record-setting win of the Blue Devils Drum and Bugle Corps, our marching band audio system is now stronger than ever. We partnered with our friends at Audio-Technica to provide a turnkey solution to support field audio—read all about it at musiced.presonus.com/fieldaudio. PreSonus is the leader in music education technology presentations. As such we are excited to participate in top national and state music conferences. Check out of list of upcoming conferences and come say hello! If you’re interested in either school or student discounts on PreSonus gear, please contact one of our education retailers at musiced.presonus.com/buy. John Mlynczak, PreSonus Education Market Manager, is is the kind of guy who leads by example. He recently produced this incredible nine-part video series focusing on using the AudioBox Studio, AudioBox Stereo, or AudioBox Music Creation Suite with a pair of Eris studio monitors to make practicing at home more efficient. Consider these tips “best practices” for your practices. Feel free to share your success or any new ideas! While John’s videos were designed for music educators, fact is these tips are applicable to darn near anyone who wants to get some music made. If you’re a kid just starting out, or a home-recording vet just looking to dust off the rudiments, chances are you’ll find something of value here. To learn more about the Music Creation Suite, click here. To find a dealer in the USA, click here. To find a distributor outside the USA, click here. To buy PreSonus software online, click here. PreSonus Education Market Manager John Mlynczak spoke at PreSonuSphere 2013, detailing the best ways to leverage PreSonus technologies in the classroom. Update 9/6/13: This workshop has almost sold out! Due to popular demand, Joe has added two days to his LA seminars, September 28 and 29. Click here to register! Just added: Music Supervisor Panel with seven of Hollywood’s top music supervisors who’s work includes Pulp Fiction, West Wing, Shameless, Paramount, HBO, Coldplay, Seal, and many current films and TV shows. There’s also VIP packages available that include dinner with these Music Supervisors—only 9 slots left! Two days. Get your road map to success in the music business. 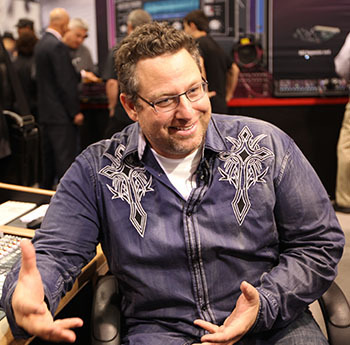 PreSonus enthusiast and world-class producer/songwriter/engineer Joe Solo has another workshop coming up, this time in Los Angeles on August 10 and 11, 2013. This is a great opportunity to sit down with a man with some truly valuable industry experience. Joe’s clients and collaborators include Macy Gray, Fergie, Michael Jackson, Rick Rubin, Quincy Jones, and American Idol. No joke! Joe’s Music Success Workshop is about the farthest possible thing from a boring old lecture. Bring your tracks, and Joe will give them a listen and critique them for you live during his presentation. In addition, expect Joe to cover myriad topics on success in music, including but not limited to songwriting, production, and getting your music placed in film and games. New thinking on music career paths, finding one that works for you. Strategies for independent musicians, building a presence and a revenue stream. How to present yourself to get signed to artist and publishing deals. Revenue streams, strategies to boost your earnings. Song production, how important is it? Hear “before” and “after” examples. The psychology of producing hit songs. Real world examples of breakthroughs that you can learn from. Fresh techniques for marketing your music. Industry gatekeepers: What you need to know about label execs, managers, A&R reps, music attorneys, music supervisors and other key members of the industry. Joe leads a panel of film & TV music supervisors, music publishers and many other key members of the music industry. They’ll be on hand to answer your questions and give you insights on how to win valuable placements. This is a rare opportunity to gain access to the taste-makers and gate-keepers of getting your music to the world. Music Supervisor for Keeping Up With The Kardashians, ABC, HBO, NBC, The Real World, many others. Music Supervisor / Music Editor for 2 Broke Girls, Seinfeld, Will & Grace, many new pilots. Joe is offering a special 15% discount on registration to PreSonus customers, using the discount code PRESONUS15. Be sure to use it before July 21 to take advantage of this offer, and get access to a private networking dinner party hosted by Joe on the Friday before the workshop. There’s also VIP packages available that include an exclusive dinner with Joe and his panelists, and an in-studio session musician experience is available, too! To sign up for Joe’s FREE Music Success Video Nuggets and weekly tips email, go to www.joesolo.com. Mastering with Stock Plugins in Studio One from @RecordingRev! Good old Graham. We can always count on this guy to create some of the best audio tutorials available online. This time around, he’s created a pair of videos focusing on mastering in Studio One using stock plug-ins, including Studio One’s Compressor and ProEQ. Watch and learn! Learn the most up-to-date marketing techniques and discover how to build a successful music business career with Berklee Online, the award-winning online extension school of Berklee College of Music. Berklee offers over a dozen instructor-led online music business courses covering entrepreneurship, marketing, publishing, licensing and beyond—all written and taught by Berklee’s faculty, or industry professionals. 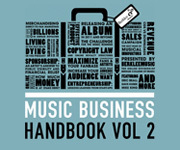 For tips and best practices for success in the music industry, click here to download Berklee’s free Music Business Handbook. Explore Nimbit’s distribution features and more in Berklee’s 12-week Online Music Marketing: Campaign Strategies, Social Media, and Digital Distribution online course. Hurry—the next term begins July 1st!